I suppose most people, upon hearing the title of the drama, will not understand how a convincing plot can revolve around a girl who sees smells. However, The Girl Who Sees Smells (a.k.a. Sensory Couple) may have struck gold by weaving this outlandish idiosyncrasy into a crime/mystery series. There are several dimensions to the drama which make it compelling and enjoyable. I’m sure the first question on everybody’s minds is, “How exactly do you visualize scents?” The drama does a tasteful job of depicting her ability while tying it in nicely with enigmatic murder cases that can only be solved with her help. Not only that, The Girl Who Sees Smells delivers such a suspenseful narrative, and viewers become so engaged with how the main arc unfolds, that they might just end up forgetting that seeing smells is not very plausible. 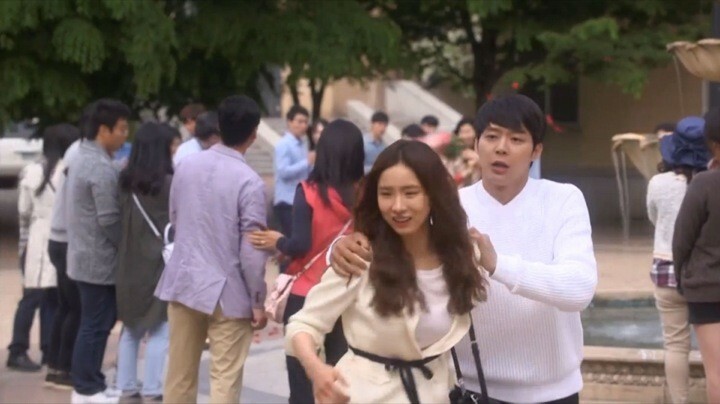 The story commences with our two leads, Choi Mu Gak (Park Yoo Chun) and Choi Eun Seol (Shin Se Kyung), who are both plagued by family murders. Eun Seol, who gets hit by a car after witnessing her parents’ murder, suffers from memory loss. She is shocked to discover that she sees odd, floating colors and shapes, which she later identifies as smells. Mu Gak is so torn by the wrongful death of his sister that he loses sleep and becomes desensitized to all pain. Their lives eventually collide (literally) as they join forces to ultimately catch the “Bar Code” serial killer, who is connected to the murder of their family members. Although I usually enjoy the intensity of thrillers, I particularly appreciate that The Girl Who Sees Smells interlaces murder mystery with bizarre comedy. Choi Eun Seol, who assumes the alias of Oh Cho Rim, pursues her passion of performing 만담개그 (man dam gae geu, Korean slapstick comedy), and ropes Mu Gak in as her partner. Thus, the ordinarily stoic Mu Gak transforms into such a laughable dork that you can’t help but find him absolutely adorable. Most of all, what makes this drama memorable is that the villain is so hauntingly villainous that the combination of the audience’s trepidation and demand for justice beckons them to continue watching. In fact, unlike other mystery dramas, the criminal is identified early on in the storyline. So, the tension that hooks viewers isn’t in trying to deduce who the mastermind is behind the murders, but in knowing the identity of the culprit yet being powerless to do anything about it. Although the title seems to point to a light-hearted drama, the plot setup indicates suspense and thriller. Immediately, we witness a dramatic opening scene from the past as we stumble upon separate murders. 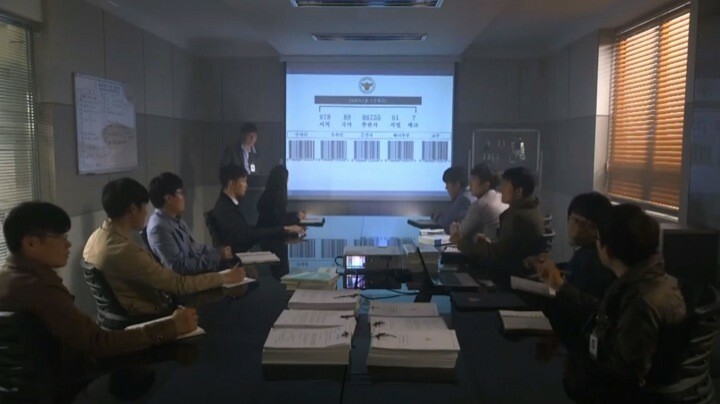 First, Eun Seol’s parents are identified as victims in the “Bar Code Murders,” in which the killer inscribes cuts in the victims’ inner wrists resembling bar codes. Soon after, Mu Gak’s sister is cruelly stabbed on the hospital bed. These two crimes seem unrelated, until we realize that Mu Gak’s sister shares the same name, Choi Eun Seol. 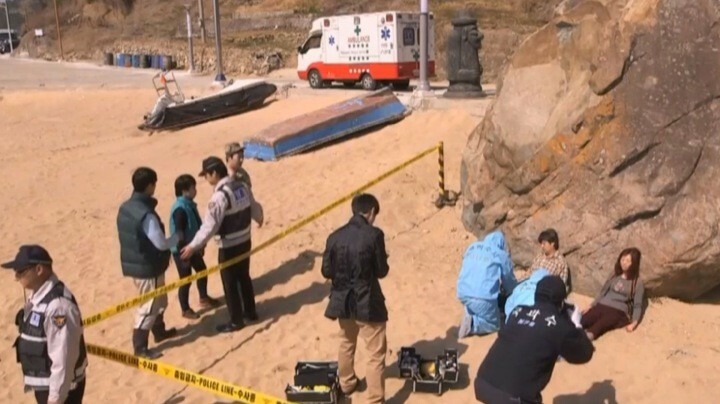 Flash forward to present day, and we learn that Mu Gak is trying to enter into the homicide division of the police force to catch his sister’s murderer. At the same time, Oh Cho Rim lives a happy-go-lucky life, unaware of her past. While in pursuit of a criminal, Mu Gak is hit by Cho Rim’s car, and Cho Rim ends up using her special senses to help capture the perpetrator. Their lives continue to intertwine as Cho Rim desperately needs Mu Gak to be her comedy partner, and Cho Rim convinces him that she can use her olfactory sight to further help him with his investigations. It’s a rare treat to see the main female lead in a Korean drama with critical thinking skills! At this point, I’m pretty sold on the two main characters. 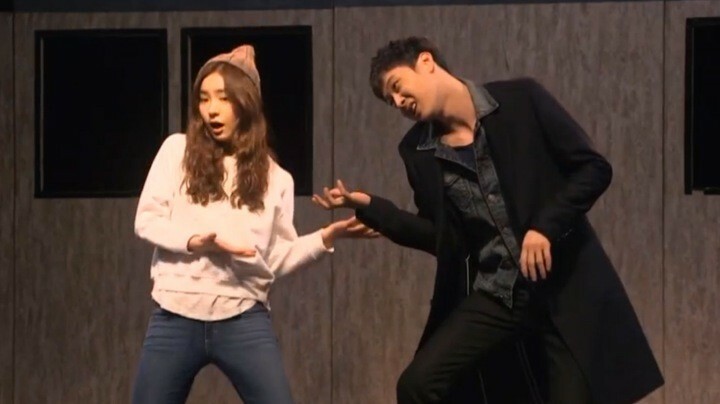 I find Shin Se Kyung refreshing, and I think her chemistry with Park Yoo Chun is splendid. I especially enjoyed the scene when Cho Rim convinces Mu Gak of her sensory powers by passing all of Mu Gak’s petty tests, to his childish dismay. I’m also starting to buy in to Cho Rim’s sleuthing abilities as she exposes some critical clues during the investigations. It’s a rare treat to see the main female lead in a Korean drama with critical thinking skills! There is much to highlight in these episodes. 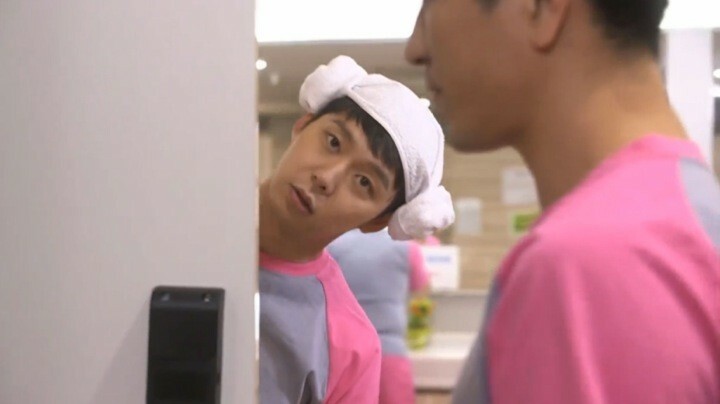 I actually appreciate that The Girl Who Sees Smells doesn’t have a cliche love triangle. The relationship between Mu Gak and Cho Rim is progressing at a rate that suits my taste. You can clearly perceive the ways that they subtly flirt and are growing in attraction towards one another. On top of that, I cherish how the once aloof Mu Gak is now displaying playfulness and personality. Meanwhile, things are quickly surfacing, which is a refreshing pace from the usual Korean drama storyboard. These episodes are comprised of smaller murder cases, so for the most part, I’m kept entertained by the detective work and crime solving. Along the way, there are heart-wrenching confessions and nerve-racking criminal chases, which cause me to question my assumptions about who can be trusted. It also helps that the supporting cast is quite likeable with their endearing side stories, such as Detective Ki, who can’t resist answering calls from Elena Vashilivnashivanova. I can’t say that there aren’t any filler scenes during these episodes, but it’s hard not to be completely engrossed when shocking truths regarding the “Bar Code Murders” are abruptly revealed. The pursuit of the “Bar Code” murderer ensues except, unlike the main characters in the drama, we now have become omniscient. It just kills us to know that the killer is right under the police’s nose, and yet he manages to elude them. It’s a race between the cops and the criminal to see who can outsmart the other, and it seems the villain has the upper hand, always being one step ahead. Many viewers may become exasperated that the special investigation unit persistently fails to apprehend the criminal. Personally, I didn’t have such averse frustrations about their incompetency. In my opinion, the detectives made astute observations and devised clever strategies, but resulted in poor execution because the villain was made to be quite shrewd and calculating. In fact, just when you think that the criminal has blundered and given himself away, you realize that he’s outwitted you too. I will concede that there are parts of the storyline that The Girl Who Sees Smells could have simply omitted. 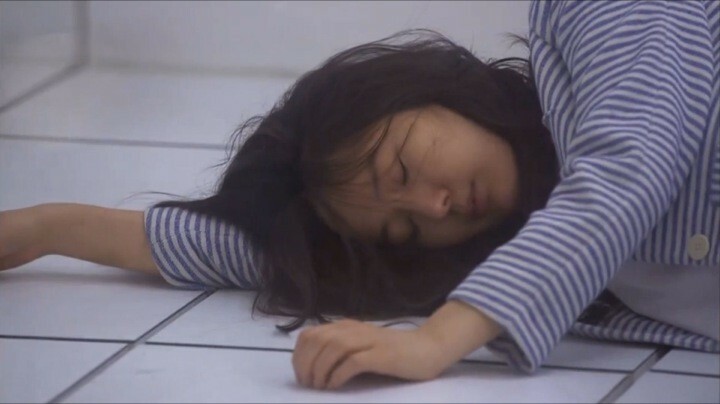 Most often, I bypassed any scenes involving Cho Rim’s adoptive father, who seemingly abandoned her for the better part of this drama, and Detective Yeom, who falls under the infamous “noble idiocy” persona. 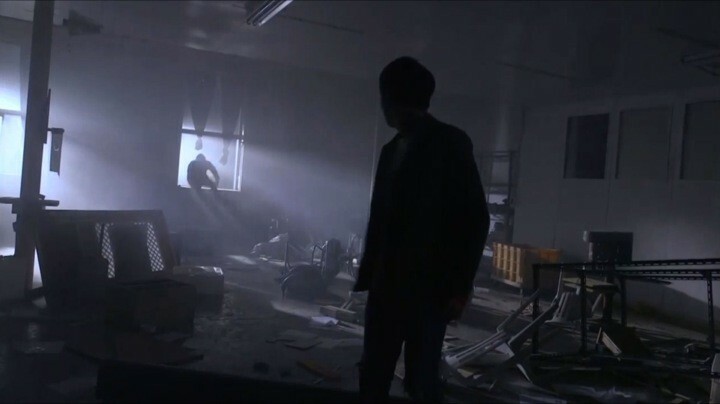 Every scene in which the killer appears feels ominous and life-threatening. Yet, this part of the drama thrives for me because everyone is so close to discovering pivotal information that will change everything, and my nerves are tingling, hoping that the good guys will figure it out before the bad guy does. Meanwhile, the killer is too close for comfort, and every scene in which he appears feels ominous and life-threatening. In my experience, this segment of a Korean drama (episodes nine and on) is usually when my interest begins to wane. Unfortunately, The Girl Who Sees Smells is not immune to this pattern. Since the main conflict has already been developing for the first half of the series, the drama now need to manufacture new conflict by forcing characters to make foolish decisions, senseless self-sacrifices, and basically renounce all sound logic. In this case, the victim of bad writing is our heroine, Cho Rim, with the investigation unit trailing close behind. At this point, the detectives are pretty certain who the killer is but are unable to provide cold, hard evidence to capture him. This pretty much remains the status quo for the next three episodes. The only new intel I’m able to gather is that Cho Rim can’t see smells when it’s raining. On the other hand, our killer is taking advantage of all the snooze and is actually getting closer to achieving his goal. I won’t spill the beans on how The Girl Who Sees Smells ends, but viewers will experience a rollercoaster of emotions up to the final moments, including a hilarious dream sequence by Mu Gak that I could rewatch forever. I also applaud the calm and collected Detective Yeom, held hostage in the killer’s concealed lair. She plays mind games with the clearly disturbed murderer, who has shown nothing but superbly chilling acting. The significance behind the bar codes is also finally brought to light. The concluding episodes prove to be one of the stronger endings I’ve seen, fillers and all. I depart the drama feeling content and satisfied, with a new respect for many of the actors and a new ship that has sailed.